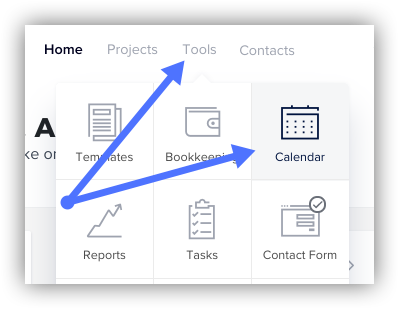 Calendly is an awesome scheduling tool that allows your clients to review your open calendar times and easily schedule a meeting with you—and since it integrates with HoneyBook, it helps you supercharge your scheduling there, too! 1. Log in to your Calendly account (or sign up for one!). 2. 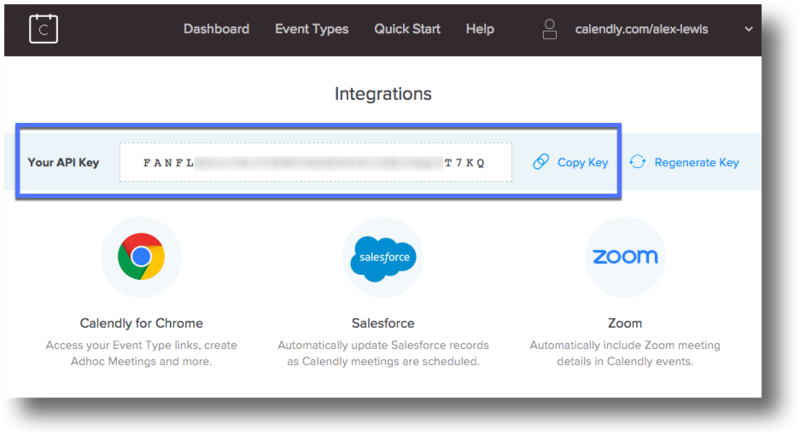 Find your Calendly API Key by clicking the menu in the top right corner and selecting Integrations. 3. Copy the API Key provided. 4. Head back to HoneyBook. From your home page, click the Tools menu. 5. Select Calendar from the menu. 6. In the Calendly section of the side tool bar, click Connect. 7. Paste your API Key when prompted, and click Connect. 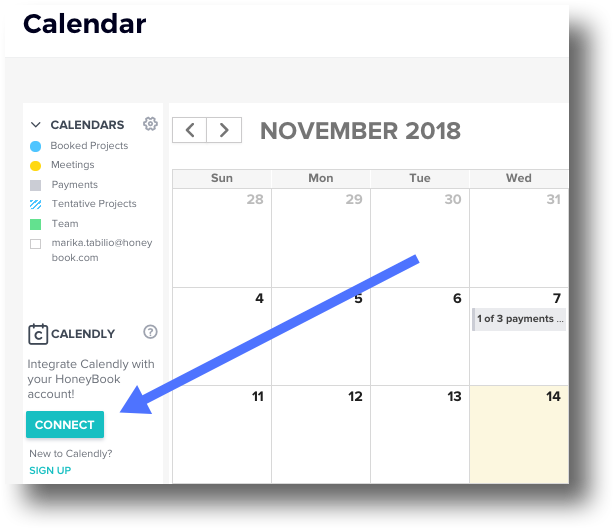 Now, Calendly and HoneyBook will start sharing calendar information—making your life infinitely easier in the process! 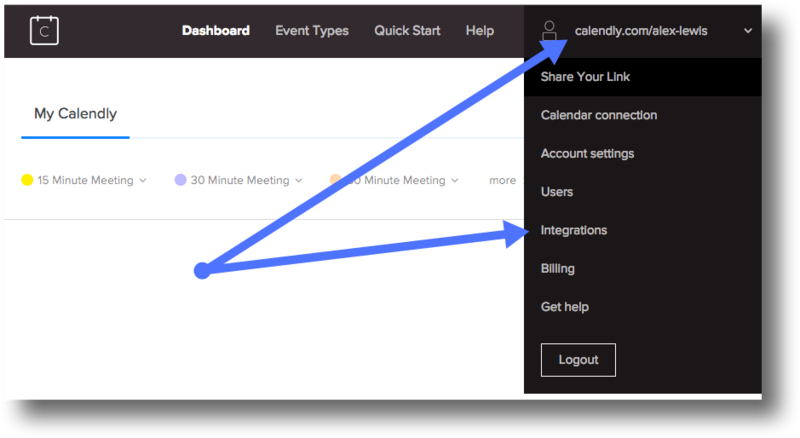 You can check out the Calendly Help Center for more information on optimizing your Calendly account.